Where you live and what you intend to use your garage for may have a significant impact on your choice of door. As well as physical security and peace of mind, it is also worth considering other benefits such as reduced insurance premiums that may be available. An investment in a higher security door may well pay dividends in the long run. There are three aspects that combine to maximise the security of your garage door – the construction of the door itself, the locks and the manner in which the door is fitted. Let’s take a closer look. When looking for a garage door that offers enhanced security, it is worth considering a door that is certified under the Secured by Design (SBD) accreditation scheme. Secured by Design is a flagship initiative run by the UK police to ‘Design out crime’ through physical security. Whether you are fitting a garage door on a new build property for the first time or replacing an existing door, choosing one that is SBD certified can significantly reduce the risk of burglary and may help to reduce your home insurance premiums. Many older garage doors relied on a single lock for security. This makes it very easy for an intruder to gain entry very quickly. A garage door with multi-point locks offers a major security advantage as it is effectively locked into the frame at more than one point and is very difficult for somebody to force it open. As well as making it much harder to gain entry, this delay can often be enough for a potential intruder to be put off or even apprehended by the police before they have had a chance to break in. Another security feature of the lock itself is an anti-drill barrel. Drilling the lock was once a common means of breaking into a property. Older locks could be drilled to enable them to be forced open with something as simple as a flat-head screwdriver. Modern, anti-drill barrels incorporate strengthened materials and special construction which prevents entry being forced in this manner. Instead, damaging the lock in this manner will actively prevent the door from being opened. Reinforced gussets prevent intruders from gaining forceful entry by forcing the garage door open at the corner. The reinforced steel provides extra strength to prevent distortion and buckling. Doors such as those in the Garador Guardian range now feature high security bracing which offers two key advantages. Firstly, they make it very difficult for someone to gain entry by ‘peeling’ off the steel surface of the door. In addition, in the extremely unlikely event that a determined intruder did manage to lift the steel, the braces are positioned in a manner that a person could not fit through the small spacings. The wide range of security enhancements offered by the Garador Guardian range make it an ideal choice to protect tool lockups, etc. It is worth noting that where security is a big concern, a sectional door is generally more secure than an up and over door as there is no gap at the side, meaning that an intruder cannot gain entry by forcing an object between the door and the frame. 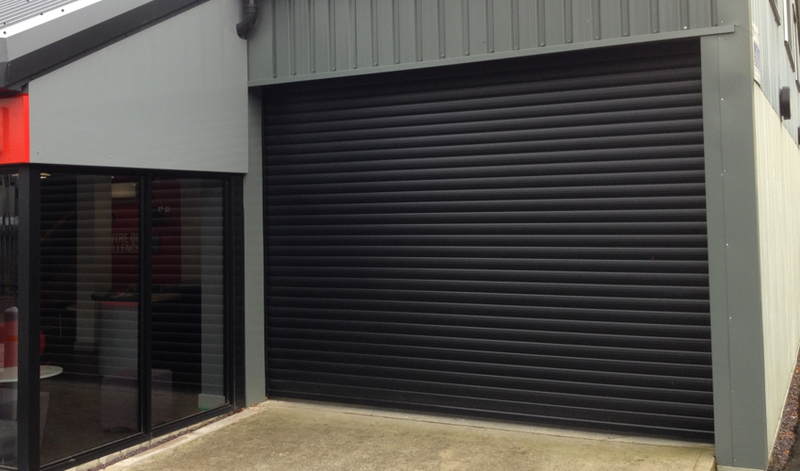 An alternative to a sectional or up and over door is the roller door. The Aluroll insulated roller door is a versatile and secure door suitable for a wide range of applications, especially where the measurements make it necessary to have a made-to-measure door. Optional features include glazed or unglazed visibility slats in addition to the fully boxed housing and heavy-duty, powder coated guides that are included as standard. No matter how strong the door itself, fitting your garage door onto an insecure frame such as the timber often seen on older doors can severely compromise the security. Ensuring that your garage door is fitted to the manufacturer’s recommended steel frames will help to maximise the protection that your garage door offers. Do note that meet the Secured by Design standard, garage doors must be correctly fixed to the structure. Having your garage door professionally fitted by experts such as those at Arridge Garage Doors is one of the best ways to ensure that you fully benefit from all of the security features offered by your garage door. A professional fitter will deliver the best possible workmanship and ensure that nothing compromises the security. Homeowners with an integrated garage should also consider one other factor – the door between the garage and their home. It is highly advisable to invest in a secure door as this is often the weakest link when it comes to home security. Making sure you choose a door with enhanced security means that even if somebody was able to gain access to your garage, your home would not be at risk. A leading security door for this purpose is the Hormann Thermo range of entrance door. As well as the standard features such as multi-throw, multipoint locking and robust construction, selected models can be enhanced to meet Secured by Design approval. This includes, for example, paneless versions. With three decades of experience, here at Arridge Garage Doors we pride ourselves on being able to offer the very best in garage doors at the best prices available. Our team is always happy to help you choose the right door for your needs. Give us a call today on 01691 670394.